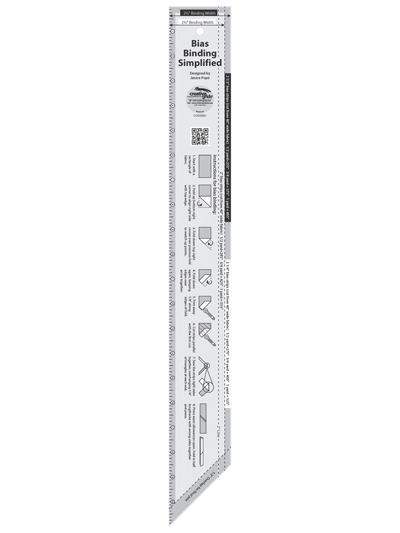 The Bias Binding Simplified Ruler has markings to easily cut 2-1/4 or 2-1/2 inch binding. 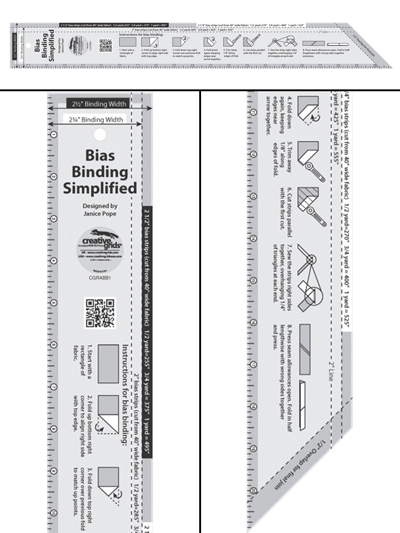 Refer to the illustrations printed on the ruler for a tutorial on how to cut bias binding. 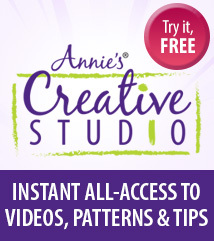 Then, scan the QR Code – or view the video on-line – for a complete tutorial including how to negotiate corners and join the binding strips when they meet. The ruler slides easily over the fabric until pressure is applied. Then, our exclusive gripper holds the fabric in place while cutting, eliminating slipping and miss-cuts! Total Size: 2-1/2" x 21".